Metlifecare has announced a partnership with the Auckland Philharmonia Orchestra (APO) that will see residents enjoying five exclusive performances at villages this year, and a 10 percent discount on all shows* this season. 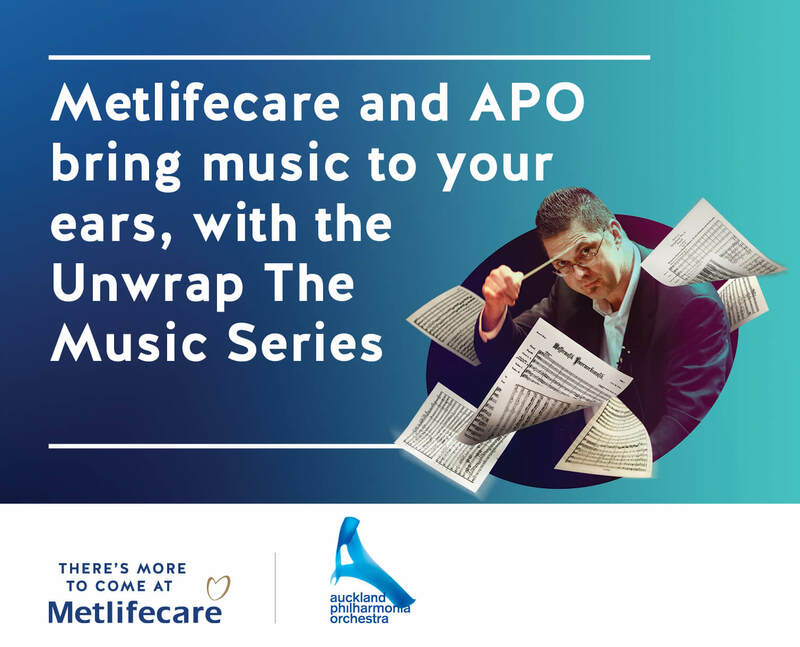 During the year, Metlifecare will be sponsoring the musical series ‘Unwrap the Music’ – three concerts for both music lovers familiar with the orchestral classics, and for those who want to know more. Each performance features an interactive talk that takes the audience through the composition to help deepen their understanding and enjoyment of great orchestral works. The ‘Unwrap the Music’ concerts take place in March, June and September at the Auckland Town Hall, but the full season of APO concerts are available for residents to enjoy with discounted tickets throughout the year. A few lucky Auckland-based Metlifecare Retirement Villages will also be treated to special talks and performances by APO chamber music ensembles, either at their village or through exclusive rehearsals at Auckland Town Hall. “This partnership with the Auckland Philharmonia Orchestra’s ‘Unwrap the Music’ series opens a pathway to bring more music to our villages and exclusive access to the orchestra in the concert hall. We look forward to seeing their performances in Auckland and hosting five special performances within our very own villages,” says Sowry. Auckland Philharmonia Orchestra Chief Executive Barbara Glaser says “We are thrilled to announce this new partnership with Metlifecare. As Auckland’s orchestra we value the opportunity to share the joy of orchestral music with everyone in our community. We welcome Metlifecare and the residents of their villages to the APO whānau.